Steve hosts Legends, a series of interviews with racing heroes transmitting on the Sky F1 channel. 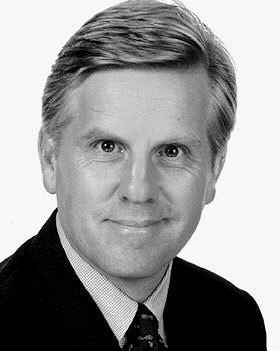 Steve Rider is one of the most current experienced sports presenter and journalist on British television. He presented 12 summer and winter Olympic games and in 20 years at the BBC was the host of Sportsnight, Grandstand and Sports Personality of the Year. He presented international rugby and motor sport and over fifty major golf championships. Steve joined ITV Sport in 2006 to present Formula One and their Fifa World Cup coverage. He went on to host Champions League, FA Cup and England fixtures and the Rugby World Cup from New Zealand in 2011. He continues to host ITV4’s coverage of BTCC. He is a three time sports BAFTA winner and has twice been name sports presenter of the year. Steve hosts the annual Laureus World Sport Awards from worldwide locations and in 2012, presented the coverage from Westminster Central Hall, London for Sky. Steve is an Ambassador of UPS and Official Supporter for London 2012 Olympics. Steve has a journalistic background both in local newspapers and press/public relations. For two years he was a reporter and feature writer with Hayters, the Fleet Street based sports agency, before joining the newly established independent local radio stations LBC/IRM as a sports presenter and reporter. In 1985 he accepted an invitation from the BBC to take over from Harry Carpenter as presenter of Sportsnight, a role he filled for six years. In 1991 he switched positions to become the main host of BBC Sports flagship programme Grandstand. During this period he also took over as BBC’s golf presenter and became closely associated with the Ryder Cup, The Open, the US Masters and World Matchplay. Since 2000, Steve also presented the BBC coverage of ‘The Seve Cup’. 2006 saw the publication of his book ‘Europe at the Masters’ (Sutton Publishing). Steve hosted the BBC’s Sports Personality of the Year from 1986 and in autumn 2003, published a book to celebrate 50 years of the event. Again for the BBC, Steve anchored coverage of the Commonwealth Games, the Olympics and the Winter Olympics. In 1996 he hosted the bulk of BBC’s coverage of the Barcelona 1996 Olympics, which won the International Olympic Committee Golden Rings Award, the Royal Television Society Sports Award and was nominated for a BAFTA award. Steve continued to be the main anchor for the BBC’s Olympics and Commonwealth Games coverage, up to and including Athens 2004. Other sporting events Steve presented for the BBC include The Cricket World Cup in 1999, three major documentaries on The Open 2000 and the award winning documentary on Ayrton Senna and Motormonth, a weekly look at motor racing around the country. 1998 saw Steve host Wimbledon and front the Whitbread Round the World Yacht Race. He hosted the Boat Race for several years and the BBC’s rowing coverage. Steve’s other credits (appearing as ‘himself’) include Goodnight Sweetheart, French and Saunders, The Full Wax, Blankety Blank and They Think it’s all Over. He developed the BBC’s domestic motor sports profile and pioneered the highly successful British Touring Car Championship through BHP, which became a highly rated Grandstand feature. Steve has become strongly involved in corporate video and presentation for the motor industry along with Golf companies, clients include Williams, McLaren, HSA, Volvo, Wilson, Nissan, Jordan, Littlewoods, Jaguar, Renault and the RAC Network Q Rally. Steve is in high demand for corporate events, credits include BMW, Fleet News Awards, Motor Cycle News, Road Transport Awards, Motor Trader Awards, British Insurance Awards, British Transport Awards, OAG Airline of the Year Awards, Security Awards, British Hairdressing Business Awards, Building Industry & Electrical Industry, Bathroom & Kitchen awards, EFTA Print Awards among many others. Conference credits: Natwest, British Telecom, Cellnet, Flymo, Wells Water, Alliance Mutual, Reliance Mutual and Vauxhall. Press conference hosting is another of Steve’s skills and credits include Adidas, Wells Water and Steve’s particular favourite, Formula One car launches. 2008. British Academy Television Awards, winner in best sport category, ITV/North One Television, F1: Canadian Grand Prix live. 2007. RTS Television Sports Awards. Nominated in Sports Presenter category. 2005. Broadcast Awards Best Sports Programme for Olympic Grandstand, Matthew Pinsent’s fourth Gold Medal. 2001. Royal Television Society’s Sports Awards. Best Programme, Actuality, Live outside broadcast and Judges Award for Olympics Sydney 2000 coverage. 2001. Broadcast Awards Best Sports Programme for Olympic Grandstand. 1996. The Royal Television Society Sports Presenter of the Year. 1994. The Television & Radio Industries Club Sports Presenter of the Year.